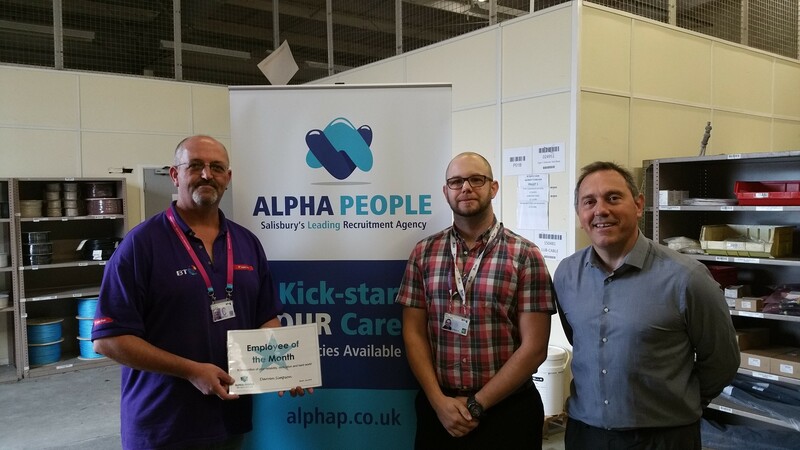 Darren Simpson has won the Alpha People July Employee of the Month Award! We are very proud of him and all the work he has done for us. Congratulations on your new job Darren and all the best to you! Also thanks to our client for working together for a long time taking part in the Employee of the Month scheme.